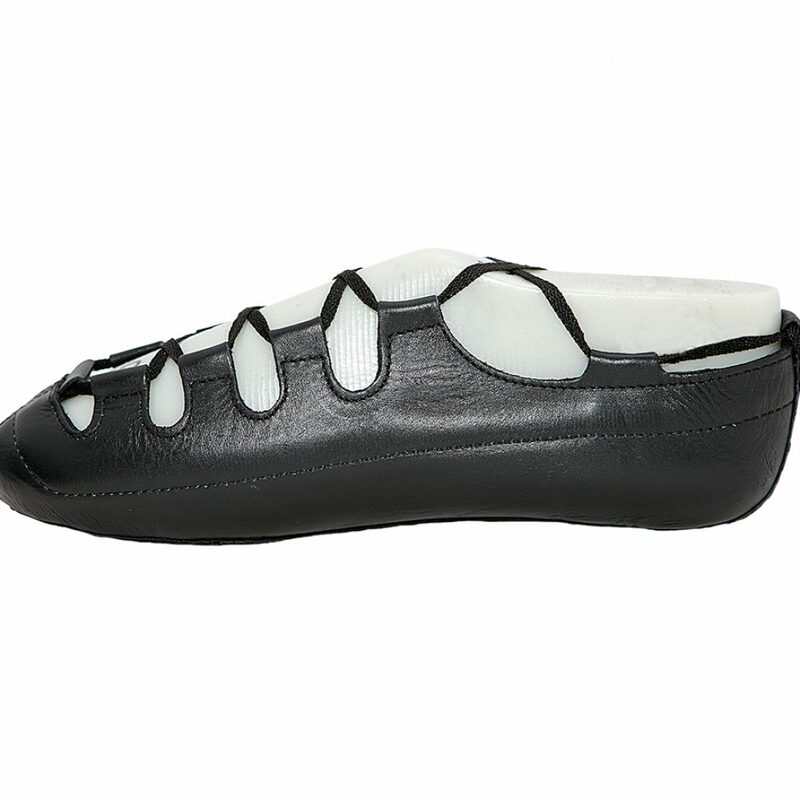 Our best selling soft shoe. Tried and tested, the Reel Comfort pump has been on the market since February 2000. 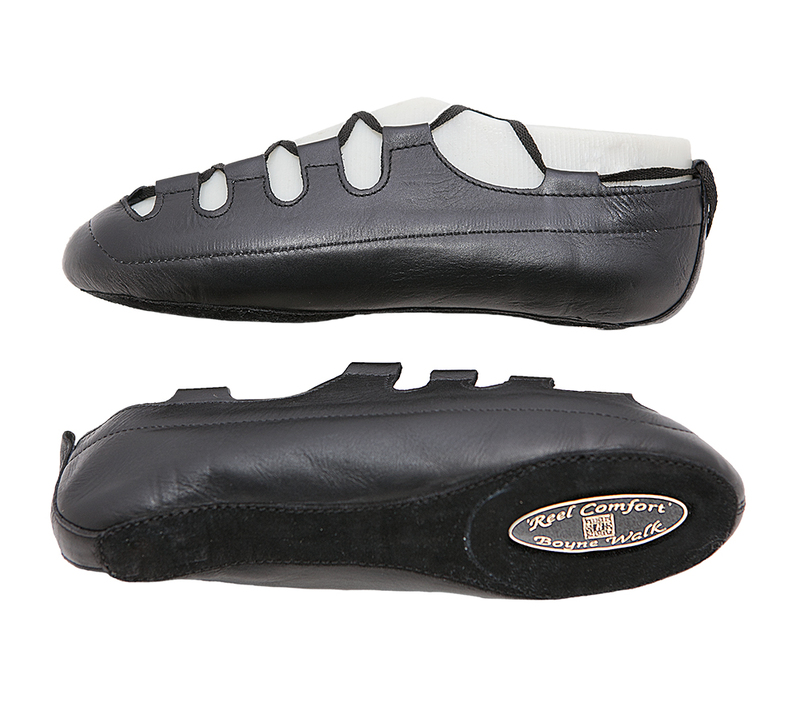 It has a 100% leather upper, a uniquely designed, shock absorbing, double stitched sole, right to the toe (where most wear occurs) and integrated sideloops. 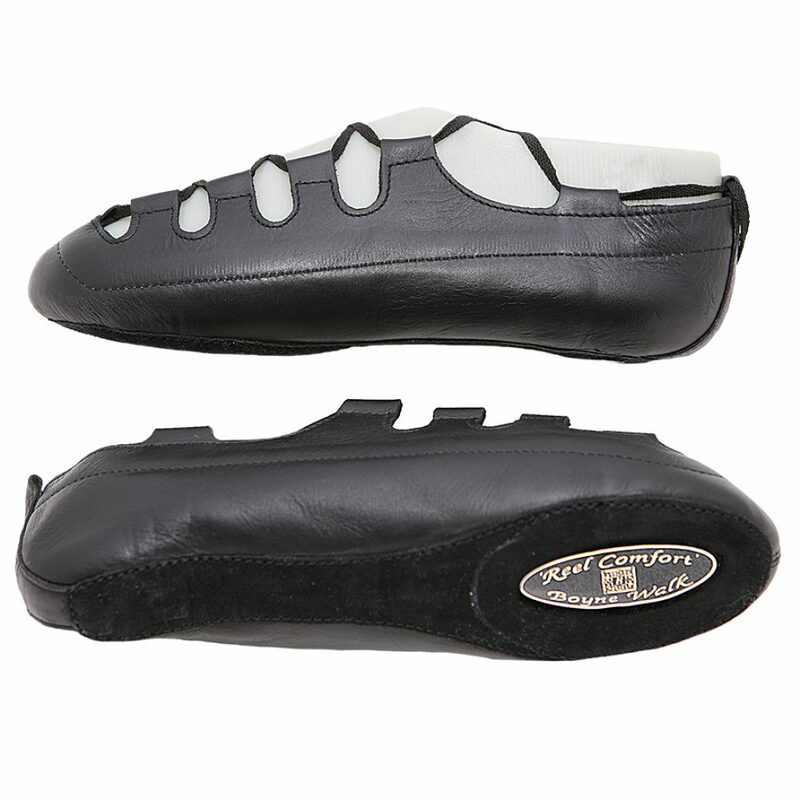 In fact this was the first soft shoe available with side loops. Gone are those uncomfortable pleats (another first for soft shoes from Boyne Walk),while still maintaining the traditional look of our other pumps. 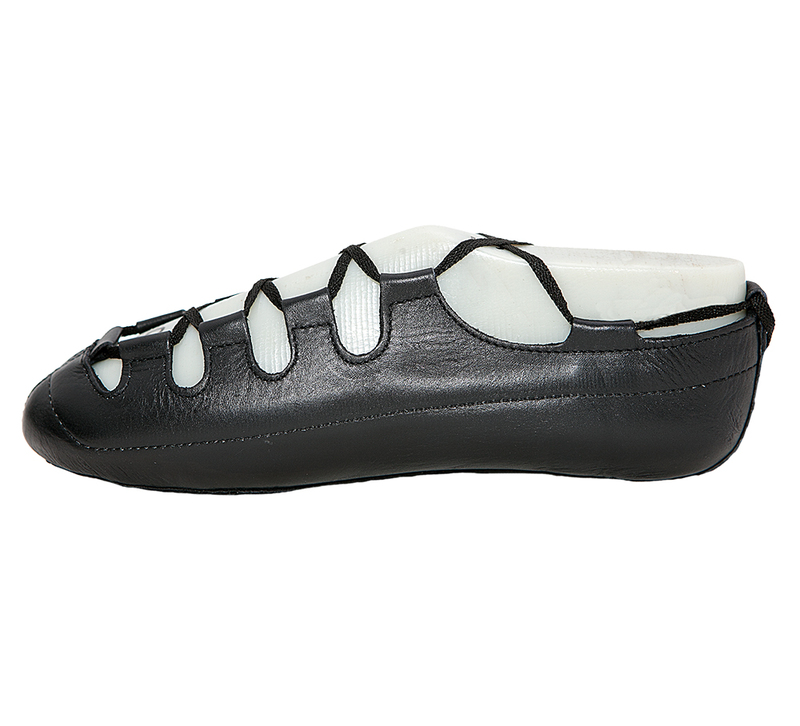 We have ungraded this shoe to include a unique cotton/foam lining for additional comfort and support.